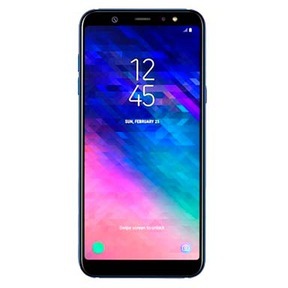 The Samsung Galaxy A6 Plus was introduced in May 2018, as the newest successor to the previous A5 plus. The Samsung A series lineup is designed to provide the best bang for your buck, with mid to high range performance with a mid-range price. It was considered to be the budget alternative to the more premium Samsung S series, with a higher price range. The phone comes with a large display, being the first in the Samsung A-series to boast Samsung’s “Infinity Display”. This means it has no home screen button, and sports a 18.5:9 aspect ratio. The phone however, still has a bezel for the front camera and sensors. It supports Dual-SIMs plus a Micro SD card, and comes with the Qualcomm Snapdragon 450 chipset, powered by a 3,500 mAh battery. The Samsung Galaxy A9 plus also comes with a stylish metal unibody design. However, the launch price was deemed to be more than the phone’s actual performance, and people who brought the phone at launch were at a loss since prices swiftly came down after a few months. With the release of the more advanced and much more commercially appreciated Samsung Galaxy A9 series later on in 2018, you may consider regaining your investment on the A6 Plus, by selling it on Cashify. Why Sell Your Old Samsung Galaxy A6 Plus On Cashify? You can rest assured that you will get the best possible deal for your old Samsung Galaxy A6 Plus on our platform. Cashify partners with multiple mobile dealers, from Samsung to Xiaomi, so that you get the most out of your device’s sale. Wondering about the process of selling your phone on Cashify? Head over to the Cashify website, and select your phone’s brand and model, or search for it. 1. After you find your exact model, all you have to do is answer a few questions about your Samsung Galaxy A6 Plus phone’s condition, defects if any, and other information. 3. Our pickup agent will provide you with cash immediately as the device is picked up, right at your doorstep! We also support cheques or e-wallets to receive payments. You’ll never have to step outside your home to sell your old mobile now, with Cashify! Our agents will pick up the device from wherever you wish to hand it over, and can provide you with instant resale cash, if you choose so. Head over to Cashify now, the best marketplace to sell mobile phone and other electronics effortlessly and completely online, from the comfort of your home.